Elderflower Restaurant, on the cobbled street leading to Lymington Quay, is gaining a very good reputation under chef Andrew Du Bourg (previously Head Chef at Chewton Glen and Club Gascon) and wife Marjolaine. 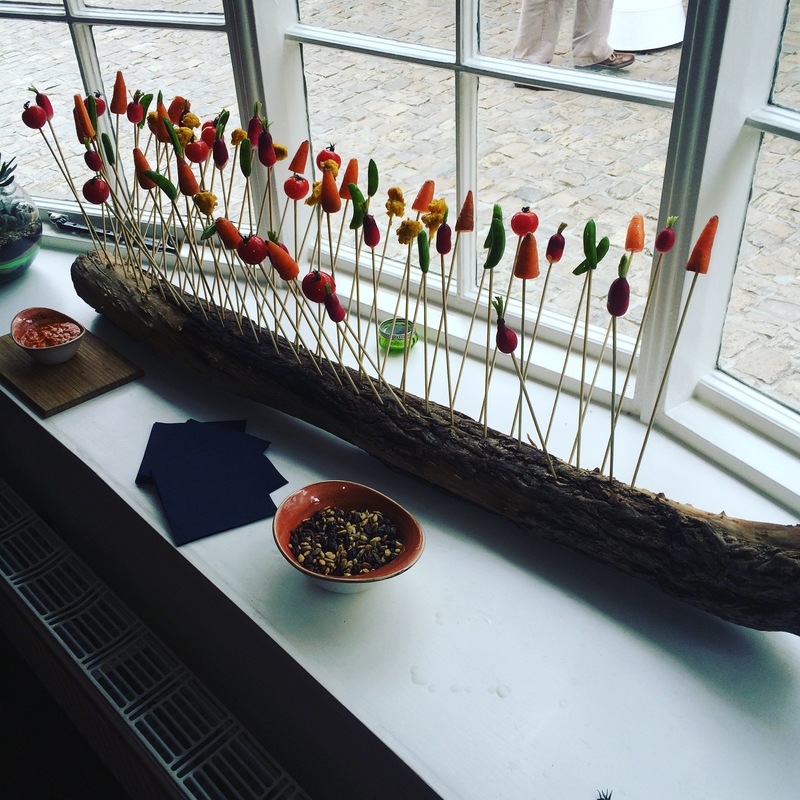 They provided the canapés and crudités for the Fifth Anniversary Tasting of Lymington’s gem of a wine shop, Solent Cellar. Elderflower has been open just over two years. Like that other Hampshire hidden gem restaurant, Verveine in Milford-on-Sea, the decor at Elderflower gives little away about the standard of cooking. Before I talk about the wines Solent presented on Sunday, I have to say that the French Black Pudding canapé, one of several stunning mouthfuls, was as good as anything I’ve put in my mouth at any London two-Michelin-starred restaurant. It’s fitting, as one happy customer said, that Elderflower and Solent Cellar should team up for this Anniversary tasting. I’ve said it before, but sleepy Lymington, on the edge of the New Forest, comfortable in its Georgian past and smart yachting present, really does not know how lucky it is to have a wine shop that would thrive in the competitive environment of London. It’s a store which, of course, caters for a Champagne day out on the Solent or a week of sipping rosé for Cowes (or should that be the other way round, perhaps?). But they have a passionate team who adore wine – Simon and Heather having been lately joined by Rob Caswell, whilst former helper, Julien Bailly, has serendipitously moved over to Elderflower as front of house. So what Simon and Heather have done is create a list which includes serious fine wines and Champagnes (not forgetting local beers and a growing local gin selection), along with rather a lot of wines which reflect their own fascinations – hence a good Jura offering and not a few natural wines as well, the sort of stuff they feel is maybe “too weird for Lymo”, but they sell anyway because a large enough number of people like me make the trip down, just to see what’s new. The wines I’ve picked out from the tasting below cover all those bases, from well chosen wines at around £10/bottle up to the top. And the wine I enjoyed with dinner that evening was one of the cheapest wines on show! The Fizz – Villa Marcello Prosecco is a clean and fruity version of this much maligned wine, and I include it here because it’s one of the nicest “normal” Proseccos I’ve had in a while. At £13.49/bottle that’s not surprising, but if you are after a good party fizz this one works. I did pick up a Prosecco a little more to my taste for home consumption, Casa Belfi Prosecco Colfondo. Colfondo Proseccos are cloudy, left on the yeast lees in the bottle. At just 10.5% alcohol, the Belfi will be gracing lunch in the garden fairly soon, weather permitting. But Simon did say that one splits opinion right down the centre when they have it on taste. 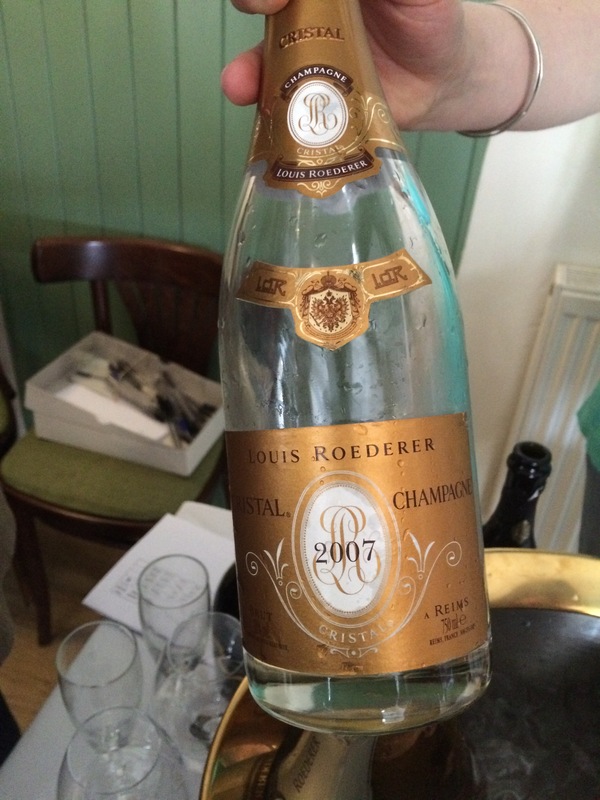 At the other end of the scale, and this is typical of Solent Cellar, they had some Roederer Cristal 2007 open. I’m not one to turn that down. I do drink a bit of prestige Champagne on my travels, but Cristal, very rarely. This was obviously so young, and to be honest if you popped a 2007 now you might be wasting £135. But still…not going to turn down a sip. My tip from Solent’s Champagne portfolio, André Clouet Cuvée 1911. Says a lot about this shop that they truly understand Champagne. The Whites – A couple of less expensive wines impressed. The first is no secret, it’s fairly easily available, Saladini Pilastri Falerio. The 2015 has a base of Trebbiano with Pecorino and a splash of Chardonnay and Passerina. It’s quite delicious, but not run-of-the-mill (£8.99). 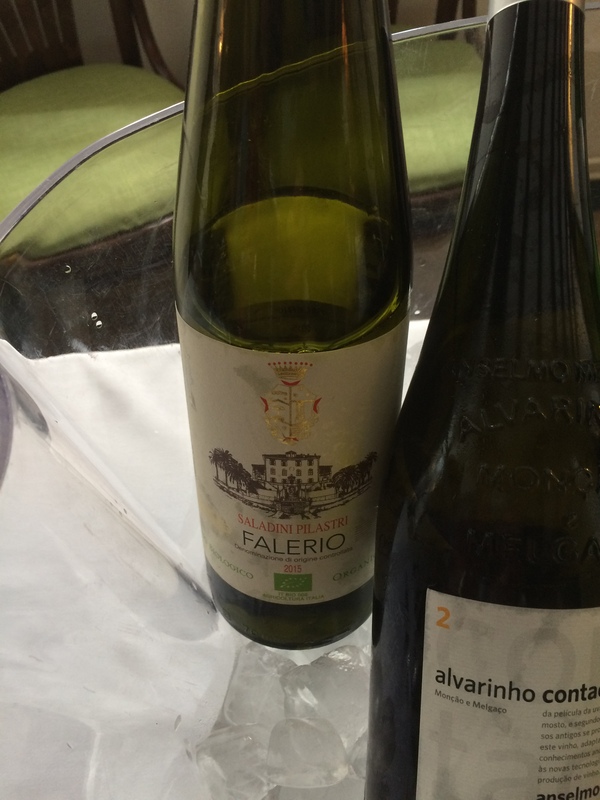 Anselmo Mendes Alvarinho Contacto 2015 is, as you’d expect, like a skin contact Vinho Verde. Just six weeks on skins then four months on lees, a grassy nose and a nice, freshly textured palate (£15.99). 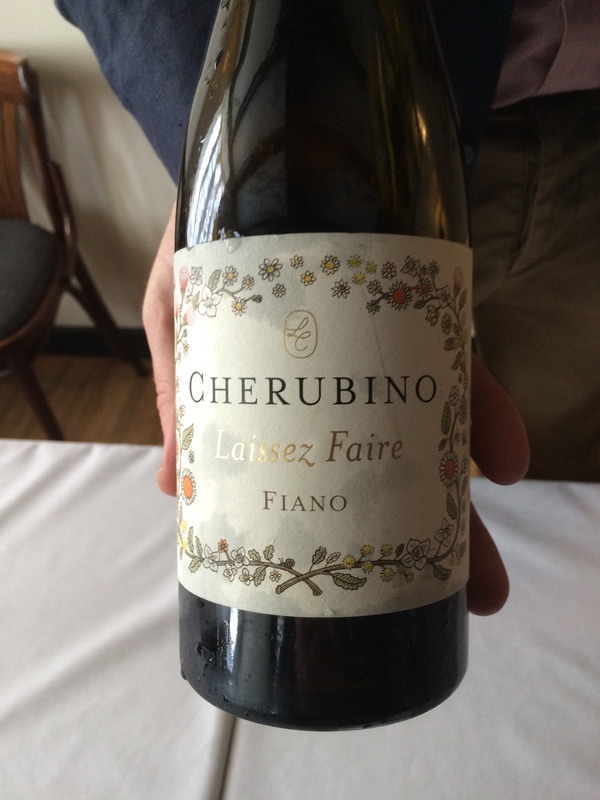 Laissez-faire Fiano, Larry Cherubino 2015 was my pick of the whites. Mineral citrus, and a hint of nuts, a fresh “natural” wine, the grapes for this wine from the Laissez-faire range coming from Frankland River (WA), Delicious, with the prospect of improvement in bottle. This was a sample, but Solent plan to list it at £20.50, which is cheaper than I’ve seen it elsewhere. 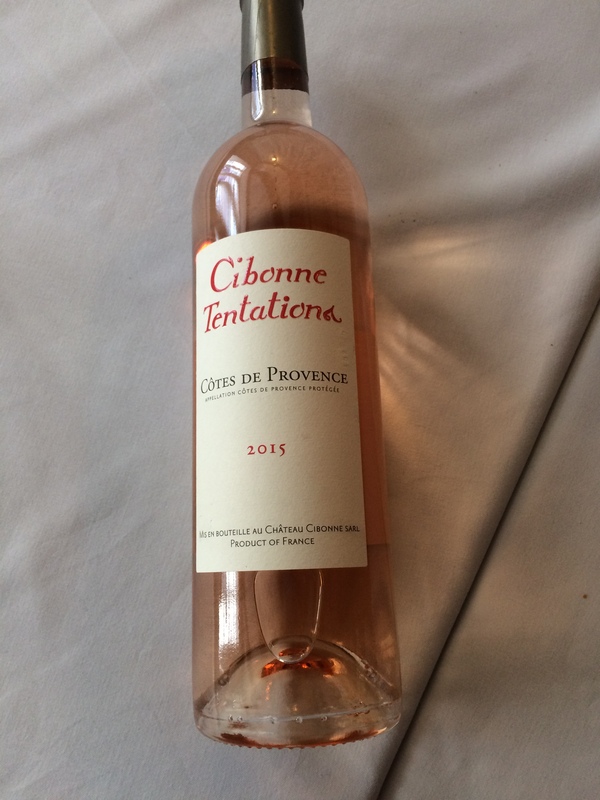 The Pink – A lot of people seemed to be going for the Ott pink, yet at least two people described Chateau Cibonne’s Clos Cibonne Tibouren as the wine of the London Wine Fair. I’d be inclined to agree, having had the same wine at Red Squirrel’s trade tasting last year. Whilst Solent have the big brother Tibouren (I think at around £18, or £42 for a magnificent magnum), the wine on taste here was the entry level “Tentations” cuvée. It’s a negoce wine, and it only contains a little (15%) of the rare Tibouren grape in the blend, along with Grenache, Syrah and Cinsault, but it’s just a lovely Provençal pink. Apricot/peach nose and peach stone or minerals on a dry palate (£13.99). Domaine Treloar – Many readers will know the wines of Roussillon’s Domaine Treloar really well. For those who don’t, English winemaker Jonathan Hesford and New Zealander Rachel Treloar were both working close to the Twin Towers on the day they were destroyed. It made them rethink a few things, and via New Zealand’s Lincoln University Department of Oenology, and Neudorf Estate, he and Rachel ended up near Perpignan with around ten hectares. 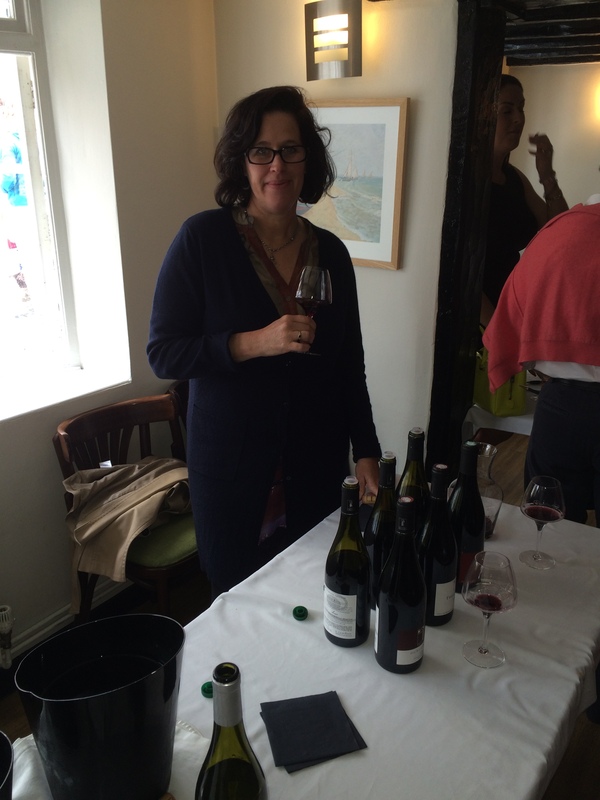 Rachel was over in the UK to show her wines personally. All of these wines are both very good, and more importantly, stunning value, as exemplified by the bone dry One Block Muscat 2012 (£9.99). If you find Muscat too flowery, this might change your mind. Terre Promise is a low intervention white blend of Macabeu, Grenache Gris and Carignan Blanc. Fresh, dry, quince. Apparently named after Springsteen’s “Promised Land”. Jon is a big music fan. Of the three reds on show, the One Block Grenache 2014 is new to me. It has bite and crisp fruit, tannin and good length. None of the flabby, jammy, flavours which can spoil some inexpensive examples (£10.99). Three Peaks is possibly the best value wine Treloar produces. This 2012 is a nicely aged (it sees a bit of oak) blend of Syrah, Grenache and Mourvèdre (£11.99). Their top cuvée is called Tahi, which apparently means “1” in Maori. It’s made from individual parcels of Syrah, Grenache and Mourvèdre on limestone (unusual for Roussillon), aged 12 months in small, new, French oak, and then a barrel selection determines what the production level will be. The 2010 still has some toasty oak, with a touch of almond stone. Amazing length, this is a very impressive wine at six years of age. It will go another six years too, if you let it (£20). 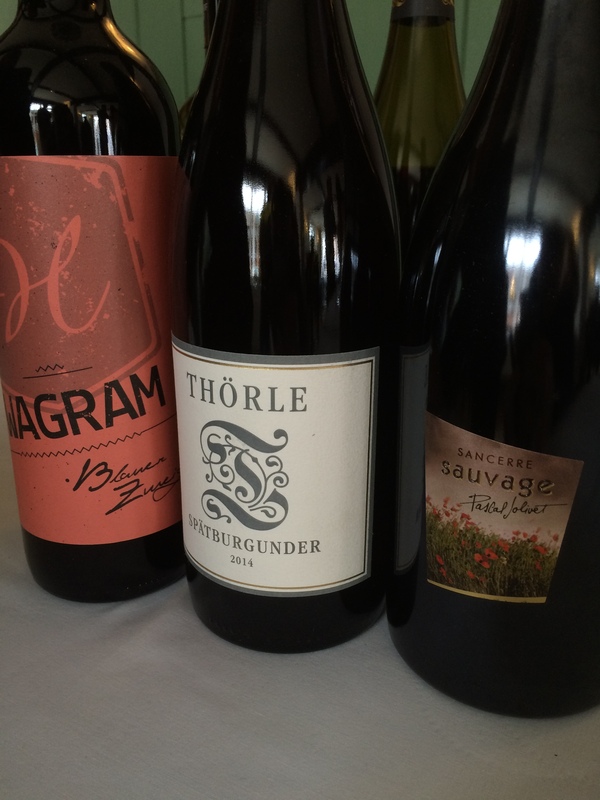 Weingut Thörle Spätburgunder 2014 – This Rheinhessen Pinot (from Saulheim) is a wine I’ve had several times. Good colour and one of the best inexpensive German reds out there (£14.99). 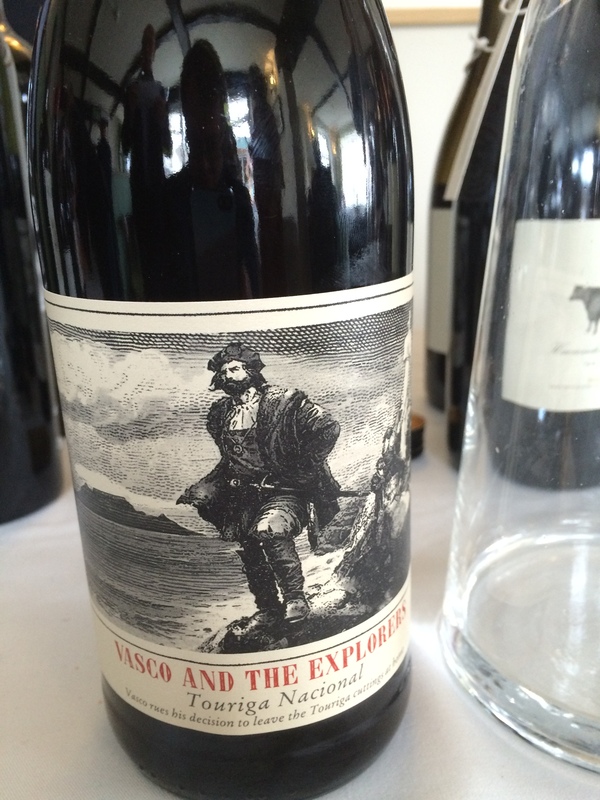 Vasco and the Explorers Touriga Nacional 2015, Stellenbosch – Rob, minding the reds, thought I might not go for this. Perhaps he thought the relatively high alcohol could put me off, I’m not sure, but this is a very inexpensive (£9.99) rendition of the Douro’s signature grape, grown down in South Africa. Not complex, yet vibrant. Pretty good for a tenner. “Alion” 2011, Ribera del Duero – A very fine wine, all vanilla oak and elegant, sweet and juicy fruit. A baby, from the Vega Sicilia stable. £55, but delicious, and eminently cellarable. The Stickies – I just tasted the two Coume del Mas Banyuls wines, white (2012, £17.99) and red “Galateo” (2011, £21). I have a soft spot for Banyuls and Collioure, the region and the wines. I’ve not been there for a very long time and I’d love to go back. The white here is a clean wine, made from Grenaches Gris and Blanc, not made in an oxidative style and, presumably, not of the type stuck outside in demijohns to age in the sun. The Galateo red is also clean. It’s fortified on its skins to reduce oxidation. Both wines are aged for around six months, the white in barrique and the red in larger casks. 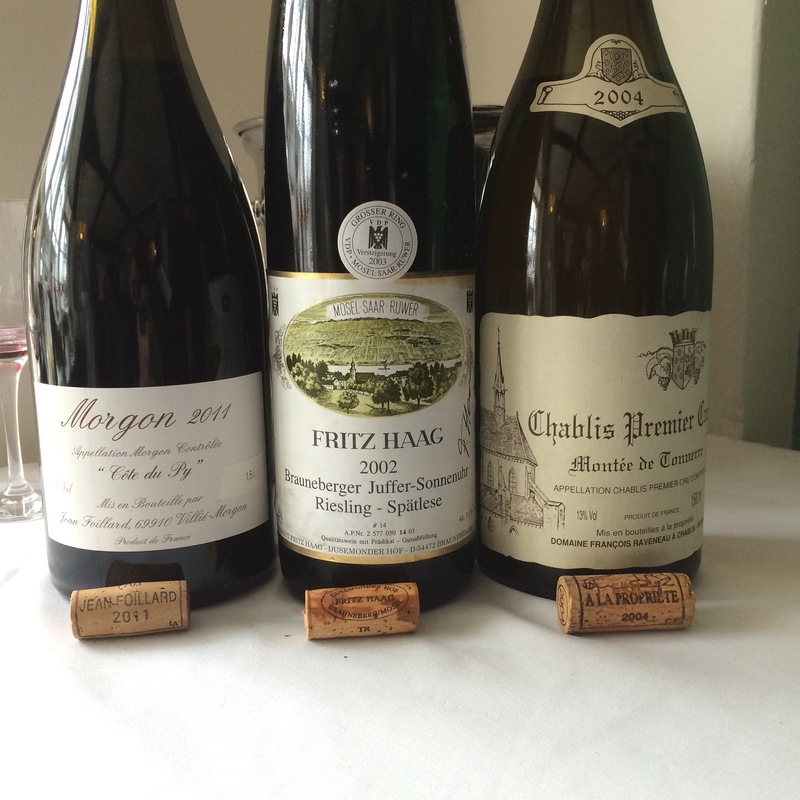 Celebratory Magnums – Solent Cellar stock an increasingly decent number of magnums and to finish off, we were all treated to three gems: Raveneau Chablis 1er Cru, Montée de Tonnerre 2004, Fritz Haag Brauneburger-Juffer Sonnenuhr Spätlese, Mosel 2002 (Grosser Ring Auction bottling), and Foillard Morgon “Cote du Py” 2011. All of them were stunning. 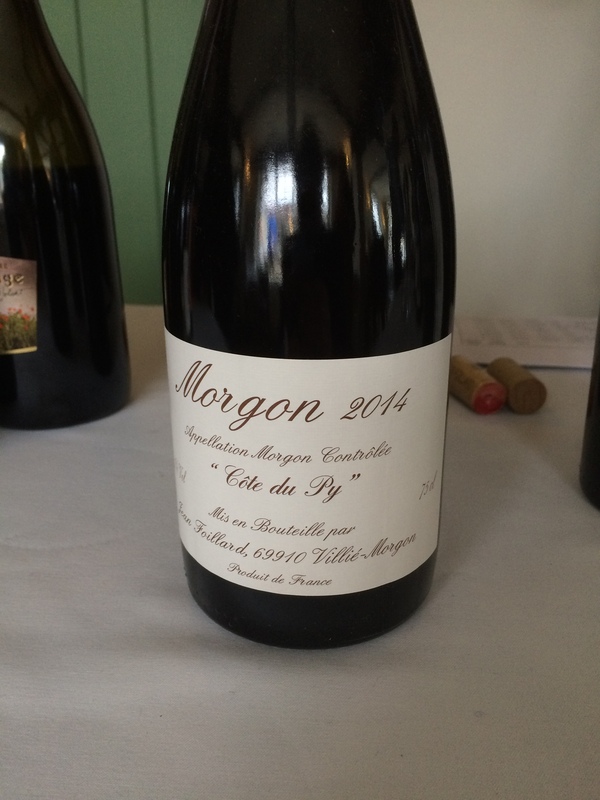 The Chablis and the Morgon clearly prove how superior the magnum format is (or, as a friend said in another place, “how effortlessly superior”. The Haag perhaps shaved it for wine of the day, it being no ordinary bottling, but one of the Auction versions so prized by German Wine aficionados. It was also the one wine of the three I had not previously tried in mere mortal bottle format. A fabulous end to what was more than a mere merchant tasting. The food, and the wines on offer, made it a pretty special Sunday afternoon, in a very pretty town. Elderflower (4A Quay Street) and Solent Cellar (40 St Thomas’ Street) are two reasons to visit Lymington. The Saturday Market and the yachts are another. Make a weekend of it, visit Keyhaven and take a boat to Hurst Castle, then eat turbot at Verveine in Milford as well. But don’t forget a walk in the New Forest. All highly recommended. This entry was posted in Dining, Wine, Wine Merchants, Wine Tastings and tagged Alion 2011, Andrew Du Bourg, Anselmo Mendes Alvarinho Contacto, Casa Belfi Prosecco Colfondo, Chateau Cibonne Tentations, Cherubino Fiano, Clos Cibonne, Coume del Mas Banyuls, Domaine Treloar, Elderflower Lymington, Eschenhof Holzer Blauer Zweigelt, Foillard Cote du Py, Foillard Morgon, Fritz Haag Brauneberger Juffer Sonnenuhr Spatlese Auction 2002, Jon Hesford, Lymington, One Block Grenache, One Block Muscat, Pascal Jolivet Sancerre Rouge Sauvage, Rachel Treloar, Raveneau Montée de Tonnerre 2004, Roederer Cristal 2007, Saladini Pilastri Falerio, Solent Cellar, South African Touriga Nacional, Tahi, Terre Promise, Thorle Spatburgunder, Treloar Three Peaks, Vasco and the Explorers, Verveine Fish Restaurant, Villa Marcello Prosecco. Bookmark the permalink. Becoming ever more convinced that magnums are the ideal format, I’m lucky to have a few and they just seem to show wines at their best. Jonathan and Rachel are very good winemakers, more caring for the environment than many organic producers and OBG, 3 Peaks and Motus are amongst my favourites. Casa Belfi’s Prosecco was one of the more interesting sparkling wines I tasted this year, and I didn’t expect to like it as it was, well, Prosecco. You are lucky to have so many great sources around you, sadly the north east of England is a desert.